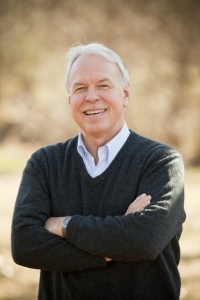 In September 2015, Scott Fulton was selected as ELI’s fifth President. Previously, Mr. Fulton was a Principal at the environmental law firm Beveridge & Diamond, P.C., and served as General Counsel of the U.S. Environmental Protection Agency (EPA) and in a number of other high-ranking government leadership positions. In addition to his role as EPA’s General Counsel, Mr. Fulton served in a number of other key leadership roles in both Republican and Democratic Administrations, including as Acting EPA Deputy Administrator, head of EPA’s Office of International Affairs, Judge on the Environmental Appeals Board, and head of the Agency’s enforcement program. He also served as Assistant Chief of the Environmental Enforcement Section of the U.S. Department of Justice (DOJ) Environment and Natural Resources Division. An international expert on environmental governance and rule of law, he serves as a member of the United Nations Advisory Council on Environmental Justice and teaches International Environmental Governance as an adjunct professor at George Washington School of Law. He received the two highest awards given by the U.S. government for outstanding leadership—the Presidential Meritorious Executive Service Award, and the Presidential Distinguished Executive Service Award—and has been inducted into the American College of Environmental Lawyers. Playing a key role in the development of U.S. environmental law through his various roles at EPA and DOJ. Serving as a key contributor to the development and implementation of environmental law internationally and to building capacity for environmental protection throughout the world. Serving as a key interface with the Chinese government in the U.S./China relationship on environmental protection. Engaging in and leading numerous regulatory and policy initiatives under the Clean Air Act; Clean Water Act; the Toxic Substances Control Act; the Federal Insecticide, Fungicide and Rodenticide Act; Superfund; the Resource Conservation and Recovery Act; the Oil Pollution Act; and the National Environmental Policy Act. Conceptualizing and catalyzing EPA’s Export Promotion Initiative to stimulate domestic economic development and job growth by promoting for export U.S. environmental services and technologies. Identifying legal tools that enable EPA to enhance environmental quality for historically underserved communities.